A federally approved project to research the use of marijuana for treating post-traumatic stress disorder may move forward after all, just not at the University of Arizona. The university abruptly terminated the lead researcher on the project, Dr. Suzanne Sisley (pictured), earlier this month, putting the future of the study in doubt. But the organization funding the project -the Multidisciplinary Association for Psychedelic Studies (MAPS) – said it is now seeking a new academic research institution to partner with Sisley to conduct the study. It mentioned Arizona State University and Northern Arizona University as possibilities. The organization also reportedly received interest from universities and agencies in other states. 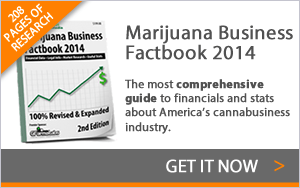 The study is important for the cannabis industry. If the project shows that marijuana is effective in treating PTSD, more states could add the ailment to their list of qualifying medical conditions for MMJ – boosting the market for dispensaries. The University of Arizona reportedly expressed a desire to still conduct the study without Sisley, but MAPS declined because it wants to keep her on board. “Even if the organization can’t find a new home for the study, it could potentially move forward without a university affiliation, an official with MAPS told Capitol Media Services. Nonetheless, working with an academic research institution would ease certain logistical hurdles, such as providing a secure location where marijuana can be stored.